Hey everyone! In my opinion, one of the most frustrating and annoying things about having IC are the constant questions from everyone, especially when it comes to diet. This is why one of the things I focus on is coming up with recipes that produce meals or snacks that won't attract a ton of questions or attention from others, especially at social events/parties. 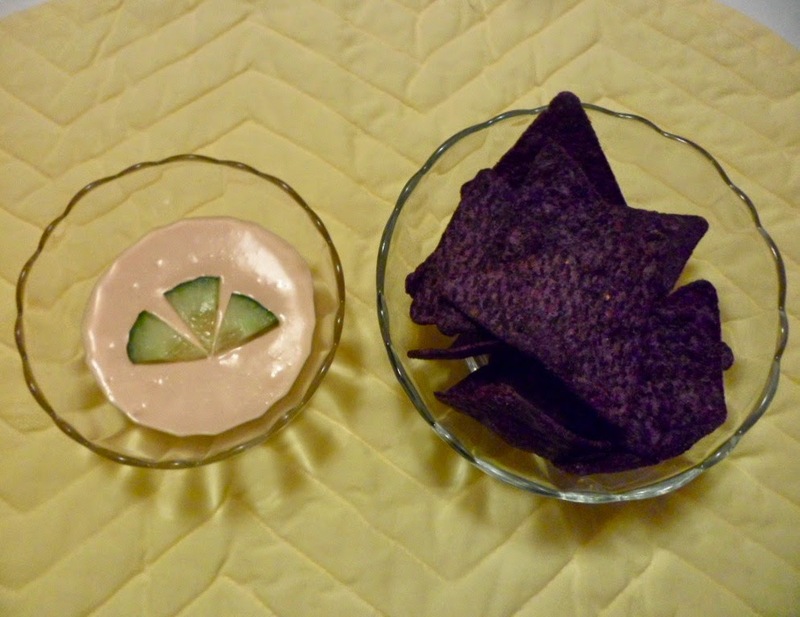 Well, I have discovered a way to make a delicious chip dip and found some amazing blue corn chips that don't bother me at all to go with it. I hope you like it! 1) Put the desired amount of cream cheese in a medium sized bowl with a spoon. 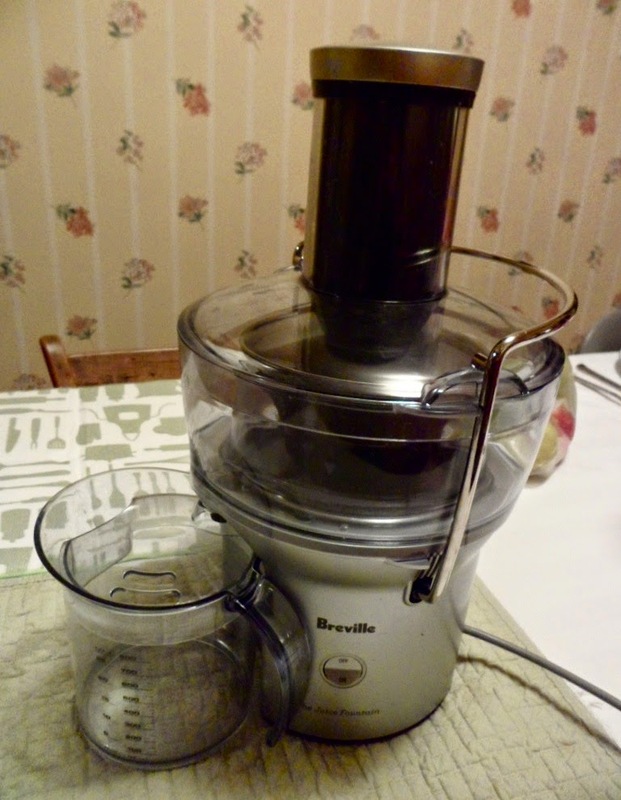 2) The second step is making the juice to mix in with the cream cheese. The amounts you use will vary due to your preference, but I will give you a rough estimation of what I use. 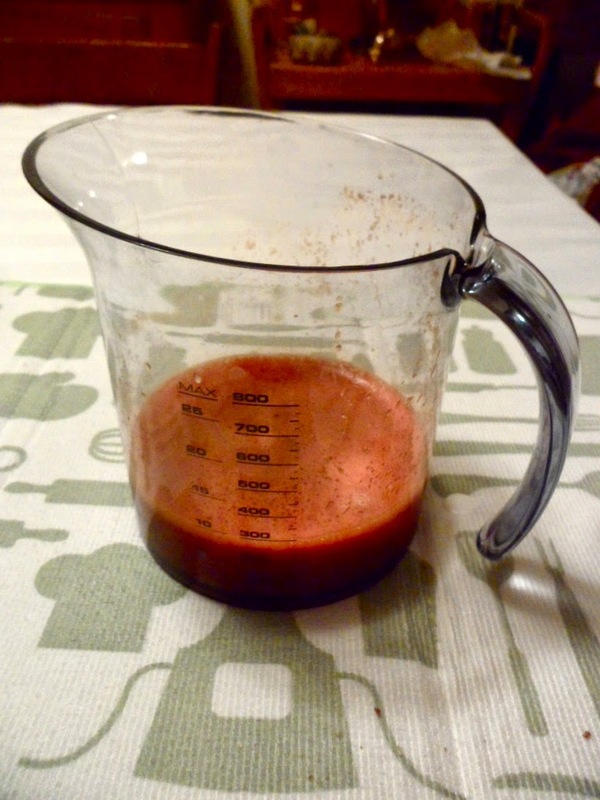 3) After you juice your vegetables and stir in the desired amount of sea salt, mix in 2 spoonfuls of the vegetable juice in with the cream cheese using the spoon and taste it. If it is not enough, mix in some more, until you reach the desired taste and consistency. 4) Using your fingers and a cloth napkin or small towel, dust off each and every chip you plan to eat and put them in a bowl. Even though it's sea salt, these chips have way too much salt for us so this is a necessary step to avoid irritation, but don't worry, they're still very salty without all of the extra salt coating them. I find this snack very delicious and so does my mom so if you like it, it's something you can set out not just for yourself, but also for guests. Also, as far as chips and dips go, this combo is very healthy. I can't emphasize enough how important it is to not use a different kind of cream cheese unless it has the same ingredients. 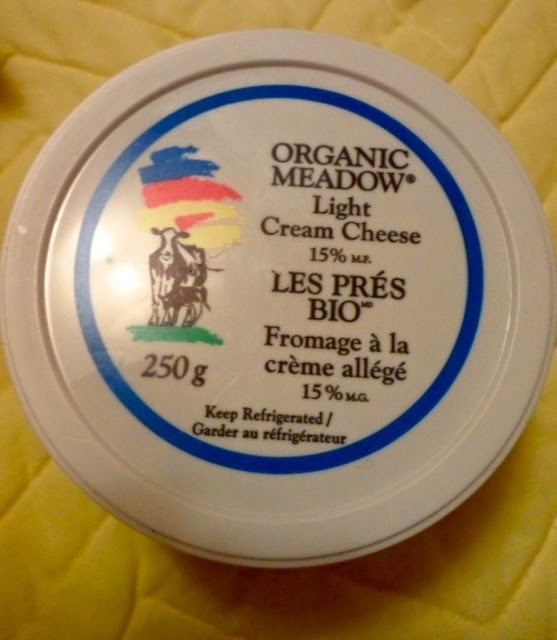 I have tested several and every one other than Organic Meadow flared me immediately (however, none of them had the same ingredients). 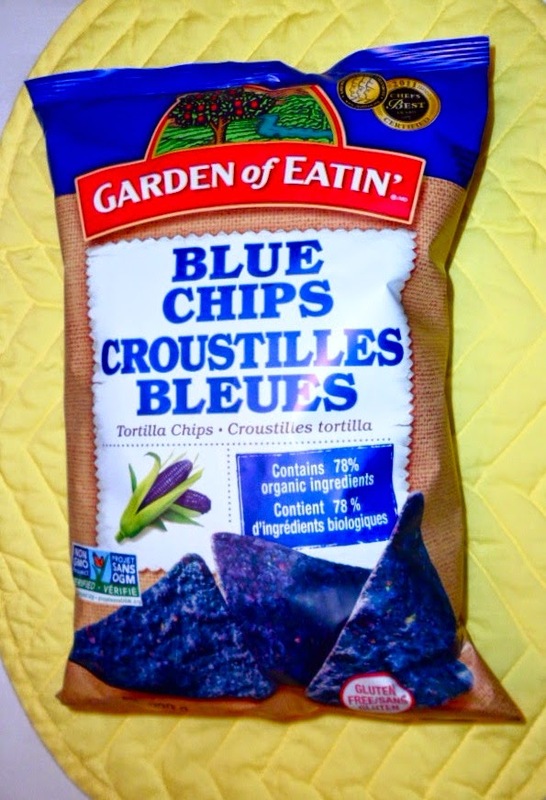 If you can't find the Garden of Eatin chips, I know that there are others out there that are okay with very similar ingredients. Make sure to always check the ingredients of everything you buy/eat. To eat this snack, I take 1 Lactaid Ultra and 5-6 Prelief. I hope you like it! Bon Appetit!